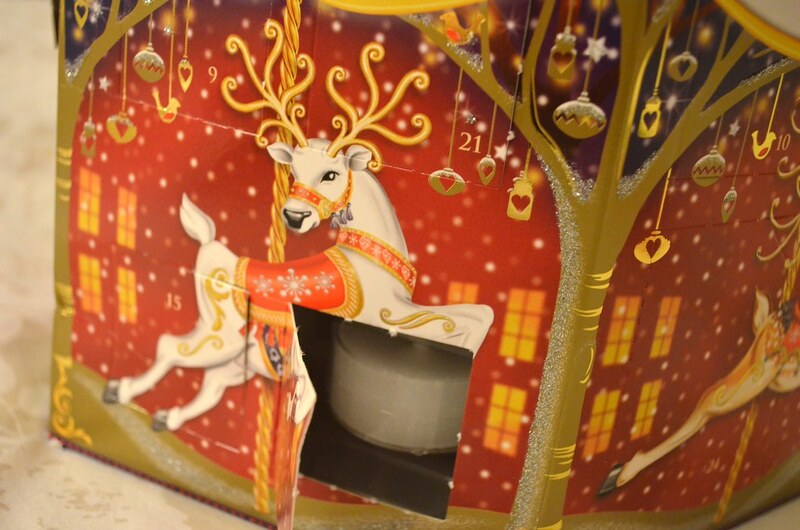 After my musings on advent calendars the other day, I decided that the Yankee Candle Reindeer Carousel was the one for me this year. I love its drum like shape, and the giant red bow on top. It's the ultimate Christmas box. I have to say... it's not the most post friendly box. Mine arrived quite battered, with some of the doors open already. And reviews on the Yankee Candle website imply I'm not the only one - lots of people haven't been overly impressed with the state their calendar arrived in. But I'm putting this down to its awkward shape. Saying that, the damage on mine is minimal and you can hardly notice it. 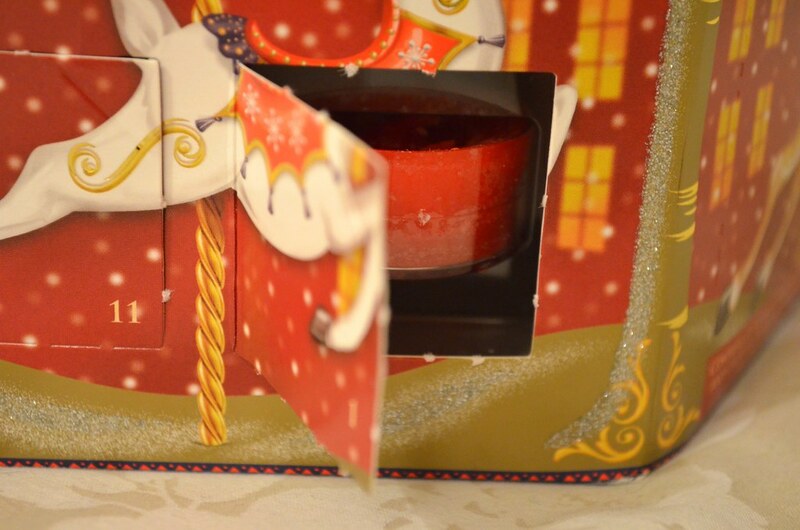 Day one presented a red candle, which was sugary sweet, and I believed to be Candy Cane Lane. I preferred 2nd and 3rd December which offered Bundle Up (a foresty scent) and Winter Glow (more difficult to describe). One of the nicest surprises about the Reindeer Carousel has been the votive candle I found behind door number 6. With past Yankee Candle advent calendars I've had, there have only been tea lights behind each door, which although burn plenty long enough, don't burn nearly as long as a votive would. In summary, I'm loving this advent calendar and would recommend to anyone. 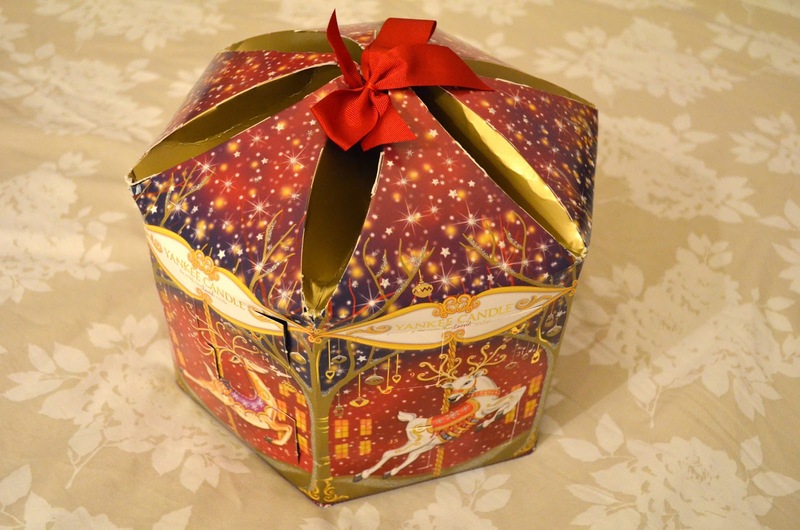 However if buying for someone else as a gift, I would recommend one of their traditional - more sensibly shaped - advent calendars which should arrive intact and in better condition!